The new Matrix Duplex is an incredibly cost-effective system that allows printers to laminate single-side, double-side in-house. We've used the highest quality components within the system, including Omron switches, Schneider electrics and British built Bambi compressors. 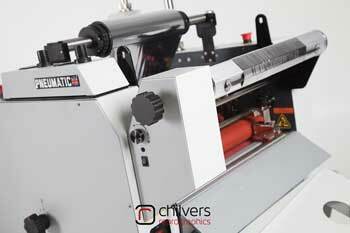 The Matrix MX 530DP gives you the ability to bring high performance lamination in-house means you can avoid costly set-up charges. Matrix offers you the ideal investment in finishing your digital print work - on demand - for brochures, menus, business cards etc.